If you can't handle the tooth, then step back! 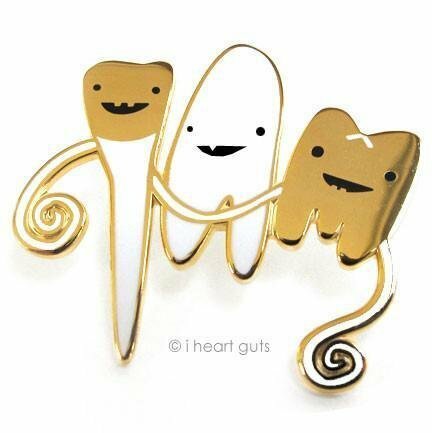 This awesome enamel and faux gold tooth pin features the incisor, cuspid and molar taking care of business with a little dental floss and some serious brushing. Show your pearly whites some respect or thank your dentist for all they do to make you smile. This cute little 1.25" soft enamel pin is made from zinc alloy and comes packed on a decorative card. Designed in the USA and made in China.